Shhh! Don’t tell her I’ve been cheating. I (sheepishly) admit I’ve been cheating on my hybrid, Trixie, with my bike share, Bixi. She’s cute, no? It’s all because I’ve been derailed from B-icicling by this darn rotator cuff injury (heed my winter riding dos and don’ts). Trixie has sat immobile since I was thrown from it and landed on my shoulder, and I only just got round to cleaning off the salt from that night (bad Jen! salt is the death of a bike). But, alas, Trixie’s handlebar and front wheel are still askew, and I’m not yet pain-free to ride comfortably – or safely. So to get to or from physio, I’ve taken to hopping on Bixi now and then. And I do love how she handles in this non-winter: fat tires that can get through snow just fine. I’d shelled out $95 for a membership in October 2010 to support the Toronto bike share program that was short the 1,000 subscribers needed to get funding so the wheels could start rolling in May 2011. A Bixi devotee, I use it whenever I visit Montreal, where it started, but with two bikes of my own, I only use Bixi Toronto maybe once a month, the odd time I’m out without my bike. But I must say, it’s been superconvenient being able to hop on and off it as needed. 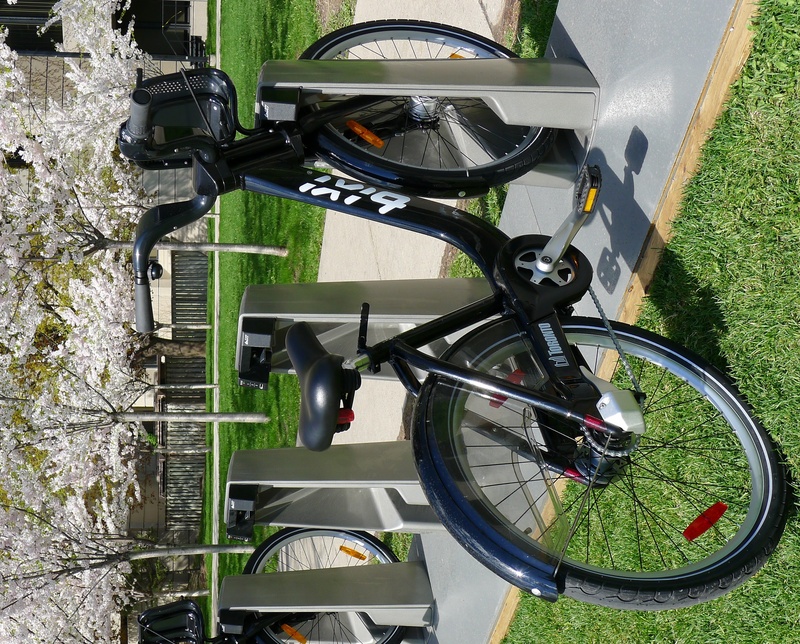 I just might keep using Bixi once I’m able to ride Trixie – it’s handy having a bike on demand!